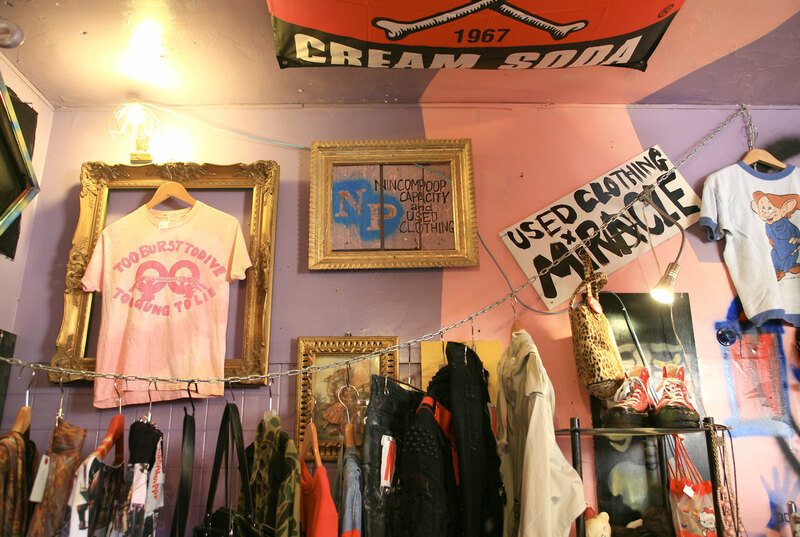 Opened as a sister shop of NINCOMPOOP CAPACITY which was moved to Harajuku. Since Cathy-san who is the shop owner and the designer is lefty, the products and the interior of the shop represent the inside of lefty person’s head. Because Cathy-san originally made samples for remakes, she is good at remaking any item wonderfully. Recently, she has been into putting frills on sporty items to intentionally make it look weird.